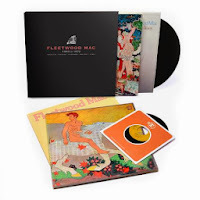 Fleetwood Mac made a few "Best Of" lists this year either with new music like "Sad Angel" or the re-issued "Rumours" box set or the "Then Play On" reissue. They were also mentioned in a couple lists of best of photography and live shows. On the TV and Film front, the band made a couple of best of lists for the Budweiser commercial and the use the Stevie's "Landslide" plus other TV shows featuring their music. Sound City is mentioned in more than a few lists which featured quite heavily Fleetwood Mac and included interview footage of Lindsey, Stevie and Mick. What were your top 5 Fleetwood Mac (or individual member) moments from the last year? When Rumours was first released in 1977, it would have been hard for anyone to imagine Fleetwood Mac's multi-million-selling behemoth sharing space on the same list as The Clash. And honestly, for some that may still hold true. But the Mac's masterpiece is certainly an album worthy of all the attention it's gotten over the years (multiple reissues and "making of" documentaries), and this deluxe edition is the perfect gift for anyone who has fond memories of those lazy, hazy, California-soaked times. Earlier this year, Rhino went back to the vaults and came up with by far the best edition of Rumours thus far. It boasts 40 tracks, including CDs of the remastered original album, the stunning B-side "Silver Springs," a 12-track Rumours-era concert, a load of demos, rough mixes and outtakes, and a DVD that includes the infamous 1977 Rosebud documentary about the album. But best of all is the vinyl remaster of the album. It beats even an original first pressing of Rumours with warm, rich textures, and probably the best-sounding remaster of this entire list. Many regard this to be the Fleetwood Mac masterpiece, and this collection is a must for anyone who wants no-holds-barred access to an infamous soundtrack of raw pain and evocative emotional tensions. 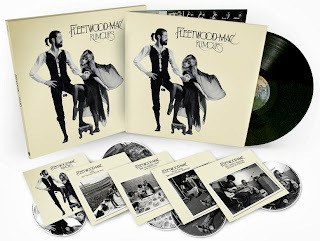 This Super Deluxe 4CD/1DVD/1LP set comes in a beautiful, 12x12 box and includes the remastered version of the original album including B-side Silver Springs, a disc of previously unreleased live performances from the 1977 tour, newly compiled recording sessions, the DVD of the 1977 promo film Rosebud and the vinyl of the original album. Perhaps most interestingly, new liner notes feature a track-by-track commentary from the band themselves, giving an insight into the personal struggles that informed the lyrics of each song. Whatever your memories of Rumours (having no memories of Rumours is un-American and therefore not allowed), something amazing awaits you in this box — early takes on Lindsey's celebration of post-breakup revelry "Second Hand News," an incipient version of Nicks' rebuke of said news ("Dreams"), live and formative versions of everything else, and multiple takes of Nicks' "Silver Springs," which didn't make the original album. This is such the ideal of what a rock record should be that it's jarring, albeit thrilling, to hear these unpolished, inchoate pieces of it. G.K.
One of the greatest albums ever made gets a face-lift, complete with extra discs of outtakes and alternate versions. There's even a CD of live cuts recorded during the band's massive tour in support of its blockbuster record. The early versions of 'Rumours' favorites are eye-opening, especially Stevie Nicks' abandoned 'Silver Springs,' her best song, which gets bigger, better and stronger with each successive take. Yes, again! But this time with some new rarities not found on the 2009 reissue, and best of all a live show from the Rumours tour, which is very nice to have on hand. Sound is fantastic, and it’s always a good thing when this album is revisited. 50 Boxed Sets From 2013 You Must Own (If You’re a Gazillionaire)! Before it became the preeminent Southern California rock band that exploded with 1977's smash album "Rumours" album, Fleetwood Mac was known as a British blues band in the late '60s led by singer/guitarist Peter Green. Proof of that is Fleetwood Mac's third record, "Then Play On," released in 1969. Fans who only know the music of the Stevie Nicks/Lindsey Buckingham/Christine McVie edition of the band might be in for a surprise when listening to the early Mac's music, a mix of satisfying electric British blues rock. In addition to featuring the original album, this latest reissue tacks on four bonus tracks -- among them two of the early band's famous songs, "Oh Well, Pt. 1" and "The Green Manalishi (with the Two Prong Crown)." Most people wouldn’t have even picked up that the Mac stirred in 2013, self-releasing a 4-track EP on iTunes. As a formative influence on my listening (and many others’, I think), Fleetwood Mac will always occupy a special place in my heart. It’s unmistakably the Mac — the songcraft is there, the giant pop choruses, that unmistakable urgent drumming that sounds like nobody else. The music sounds unfinished (but certainly not experimental). I don’t really know if this EP is significant, or if a new album is eventually going to emerge from this… for all we know, these four tracks could be the last stirrings of a dying giant of popular music. But what stirrings they’d be. In what was one of this year’s most unexpected releases, Fleetwood Mac returned with their first new collection of studio material in ten years. Although it wasn’t the full studio album fans have been anticipating, the appropriately titled ‘Extended Play‘ boasted four songs filled with classic Fleetwood Mac influences. “Sad Angel” serves as a bold opening track, and features some enjoyable clashes of acoustic guitar and broad vocal melodies from Lindsey Buckingham and Stevie Nicks. The Mac finally came back. They released a 4 song EP in 2013 that featured a very “classic Mac” sounding track called “Sad Angel” and the old unreleased Buckingham Nicks track “Without You” was dusted off and re-recorded. Luckily, Lindsey Buckingham’s vocals are overpowering the flatness of Stevie Nicks’ voice, making both songs totally essential tracks of the Fleetwood Mac catalog. Outrageously overlooked, and almost perfect comeback single, proves Lindsay Buckingham is one of the world’s most underrated artists. The Rumours tour — celebrating FM’s juggernaut 1977 disc of the same name — found the group (before bassist John McVie’s cancer diagnosis) back in top form after a three-year break. Fuelling it all was the friendly game of musical one-upmanship between former lovers and current bandmates Stevie Nicks and Lindsey Buckingham. They were powerful alone and pretty much unstoppable together. Few bands have as colorful history as Fleetwood Mac. Let’s start with how they transformed themselves from basically an underground British blues band into a song-oriented FM rock super group with millions of records sold. You could spend days and weeks filling in the sordid details on the Mac’s high turnover in personnel, but most have come to accept the lineup featuring Stevie Nicks, Lindsay Buckingham and Christine McVie out front — and founding members drummer Mick Fleetwood and bassist John McVie manning the engine room — as the most definitive. Four-fifths of that famous configuration rolled through Southern California on their 34-city U.S. tour with sold-out shows at the Hollywood Bowl and Honda Center. are putting on the best shows of their lives right now, and their Portland and Seattle gigs this year were simply outstanding. The Mac were back for three shows at the O2 in September, but their influence was felt in many other ways – not least in the debut LP of break-out sister act, Haim. I was afraid they were going to sound old. I shouldn't fear age. Like my wife, they have aged beautifully and sounded great! Mick Fleetwood of Fleetwood Mac jams at the MGM Grand Garden Arena in Las Vegas, Nevada on May 26th, 2013. Another beer brand to release a truly memorable spot this year: Budweiser. The 60-second “Clydesdales Brotherhood” Super Bowl ad “clicked on many levels,” says Charles R. Taylor, a marketing professor at Villanova University. “The use of the Clydesdales remind the viewer of Budweiser’s strong tradition in America (the Clydesdales were introduced to the U.S. public by Anheuser Busch in 1933 to celebrate the end of Prohibition) and are a powerful symbol of the brand’s tradition. The use of a baby foal in the ad is both memorable and attention getting. The emotional appeal of the bond between the horse and trainer who raised him touched many viewers and made this a very memorable ad. Even the choice of music, the sentimental Lanslide by Fleetwood Mac, was right on the mark. This was rated as the top Super Bowl ad and was one of the most viral ads of the year.” The contest to name the baby foal was also “a nice touch that allowed for additional publicity,” he adds. Hope was the winning name based on more than 60,000 Twitter and Facebook posts. In the film category is one of this year's best tear jerkers, a commercial returning the popular Clydesdales to the Super Bowl, via Anomaly and RSA director Jake Scott. The ad tells the story of a Clydesdale owner and his horse that, combined with the Stevie Nicks soundtrack, is sure to make you reach for tissues. The brewer supported the ad with a Twitter promotion that asked fans to name the baby Clydesdale featured in the spot. Hands down. Great writing, stellar acting, strong direction. 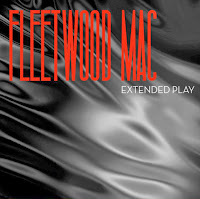 And who can forget how well Fleetwood Mac's "Tusk" was used in the premiere? A couple of witches bond in a Louisiana swamp cabin, listening to Fleetwood Mac's "Rhiannon." They ponder the greatness of Stevie Nicks. "The white witch!" one gushes. "This song was her anthem. Doesn't it just penetrate your soul and tell the truth about everything you've ever felt in your whole life?" The other replies, "Totally!" Rock on, gold-dust witches. I just want to pay tribute to Dave Grohl’s entire documentary which is packed to the brim with new performances from talents like Stevie Nicks and Paul McCartney. A must-watch for any music lover. 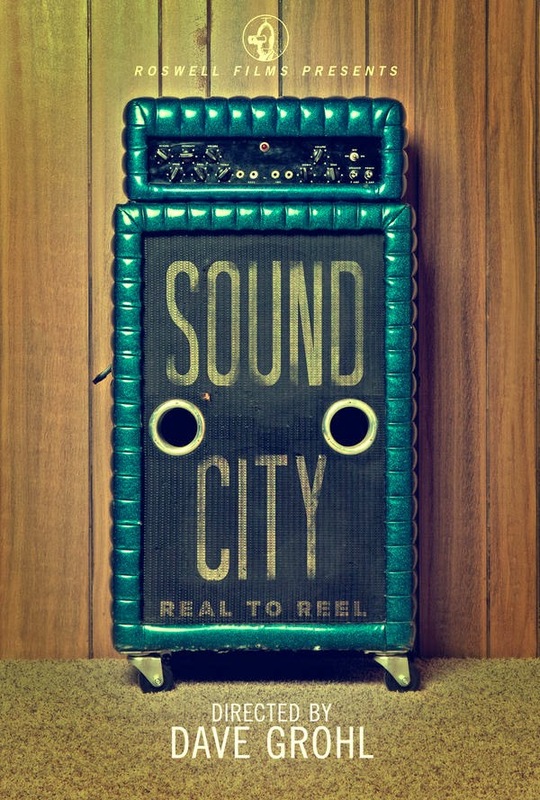 Dave Grohl is known for making good music so it’s no surprise his directorial debut, Sound City, features a rocking soundtrack. The film celebrates the famed studio by filling the narrative with the famous songs that were recorded there and having renowned artists come back together to record new ones. 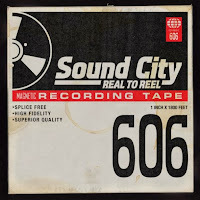 From Rick Springfield to Fleetwood Mac to Grohl’s other famous band (Nirvana), Sound City gives their hits new life by explaining how the studio helped launch their careers and creates an electric journey through this period in music history. But the soundtrack is more than just a tribute album, it is proof that while the studio may be gone, the Neve board and the sound it created lives on. One of the most versatile modern musicians around, Dave Grohl, produced this album as a soundtrack to a impressive modern documentary of the same name. Grohl utilized ancient analog technology to lure in a multitude of legendary musicians, such as Paul McCartney, Trent Reznor and Stevie Nicks. The songs are collaborations of the unique originality and on the spot creativity of artists whose names already speak for themselves through the legacies they carry. The soundtrack to Dave Grohl’s excellent rock doc is just as compelling, featuring jams between him and Trent Reznor, Josh Homme, Stevie Nicks, Paul McCartney and much more. With the wild-eyed exuberance of a teenaged obsessive, Dave Grohl continues his quest for the ultimate Rock Supergroup, and along the way, tells the remarkably intimate tale of a legendary recording sanctum and its sacred totem — the Neve 8028 console. And, oh yeah, Stevie Nicks stops by to sit a spell. Dave Grohl profiles the legendary Los Angeles recording space in a rock doc that is a touch uneven but that knows its stuff. In the 'Sound City' documentary, Dave Grohl eulogized and celebrated a Los Angeles recording studio where classic albums by Fleetwood Mac, Tom Petty and Neil Young were made. This soundtrack album features guests like Stevie Nicks and Paul McCartney joining Grohl through one last romp with some brand new songs. It's part relic, part tribute and all heart. 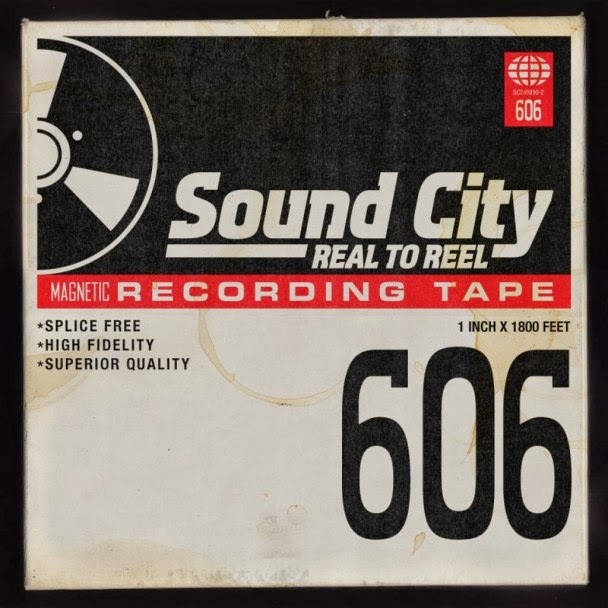 If you like movies about rock and roll and want an important lesson in both the history and process of making hit recordings, Dave Grohl's Sound City is essential viewing. If you just want to play some new rock 'n' roll turned up real loud like you (or your Dad!) used to do back in the day - you know, the stereo cranked up to 11 and all that - well then, the companion soundtrack LP, subtitled "Real to Real," is just what the doctor ordered. Pressed on high quality, thick, audiophile-worthy vinyl! An interesting idea made better by the participating musicians. Even the Macca track is passable, but the Stevie Nicks piece is an in-year highlight.